Global GreenTag’s globally recognised certification schemes, PhD (Product Health Declaration) and EPD (Environmental Product Declaration) Programs helps green products succeed with the world's best 'One Stop' Certification System.. Buyers want the best in healthy eco-products – Global GreenTag makes it easy to recognise. We’re here to build trust back into the green marketplace and save the planet in the process. By adopting Global GreenTag today you reap rewards for you and the planet. Global GreenTag is one of the world’s most robust, trusted and widely recognised ecolabels on the planet. We independently assure that every product is fitness tested and certified under one of our two leading certification programs that use world’s best scientific methods. That’s why we have earned the reputation and trust of thousands of buyers, hundreds of companies and numerous green building councils, certification bodies and governments around the world. Global GreenTag’s LCARate program is the world’s first Life Cycle Assessment based rating system for products which together with GreenRate and our other services provide a single source certification service that makes both Manufacturers' and Green Professionals' jobs easier, faster and decidedly more cost effective. More GreenTag, less red tape! Global GreenTag’s globally trusted Certification standards are recognised in Australia, New Zealand, Malaysia, Africa, and SE Asia elsewhere and in over 70 other countries. Our EPD program publishes EPDs compliant with LEED, BREEAM, and Green Star requirements and our PhDs have recognised Equivalency in WELL for core Features and are compliant with LEED Product Disclosure credits. Products certified include building & interiors, infrastructure, personal & beauty, cleaning & hygiene, paper & packaging, clothing etc. Get Global GreenTag certification to stand out as a leader, differentiate your product from the pack and win in the rapidly expanding green marketplace and projects requiring proven sustainable products and whole of life impact reporting. 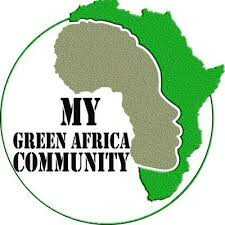 Green Star AFRICA! Global GreenTag ALL READY TO GO! The Green Building Council of South Africa (GBCSA) is now licenced to certify green buildings throughout the African continent with their building rating system now rebranded Green Star Africa. This is very exciting news for all of our manufacturers as the green building movement gathers even more momentum across the African continent. Currently, products certified under the Global GreenTag GreenRateTM and LCARateTMprograms in South Africa are recognised by the Green Building Council of South Africa. Global GreenTag International already has the capability and is already working on converting products certified under Global GreenTag and migrating these certifications for compliance on Green Star projects in South Africa. “With Green Star Africa rolling out, we are in the greatest position to be even more relevant on the African continent,” says Global GreenTag International CEO David Baggs. GBCSA’s sustainability rating scheme was originally developed by the Green Building Council Australia (GBCA) and licensed to the GBCSA in 2008 for use in South Africa. The new licence agreement allows the GBCSA, in collaboration with the seven other African green building councils (in Ghana, Kenya, Mauritius, Namibia, Rwanda, Tanzania and Zambia) to sub-licence and use Green Star with their Local Context Report to certify buildings in their respective countries. The GBCSA has actually been certifying green buildings across Africa outside of South Africa since 2014 in collaboration with local councils, allowing for adaptation of the Green Star SA tools for certification in their respective countries, said Thulani Kuzwayo, Regional Chair of the Africa Regional Network of green building councils in a recent statement. What will this mean for existing Global GreenTag certified products, as the new Green Star Africa tool takes effect in different Green Building Council regions throughout Africa? 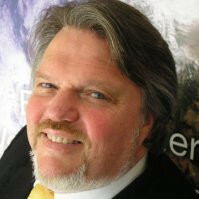 David Baggs says that Global GreenTag expects further amendments to unfold with the use of the Green Star Africa tool in different regions but is confident that product certification conversions should not be too difficult. Currently, both Global GreenTag GreenRate and LCARate certification has been recognised by the Green Building Council of South Africa (GBCSA) as a product certification standard for the Materials Fit out Calculator in Green Star SA Interiors Rating Tool. It does, however, require an interpretive evaluation against the GBCSA recognition criteria and issuing of a separate GBCSA Rating certificate. The GreenTag GBCSA Rating certificates are recognised for certifying interiors fitout, consisting of four categories: Furniture, Assemblies, Flooring and Wall Coverings. The Global GreenTag™ Product Certification Ecolabel is an Australian, USA and Canada registered Certification Mark that operates LCARate™, the world's first LCA based product rating program for Built Environment, Personal, Beauty, Hygiene, Cleaning, Paper and Packaging Products. GreenTag's GreenRate™ component is approved by the Green Building Council of Australia and New Zealand Green BuildingCouncil as a 3rd party certifier for the Green Star™ Materials Calculators..it is an ACCC approved National Certification Mark.It is a Type 1 Ecolabel that undertakes 'beyond life cycle assessment (LCA)' based rating of green products in Australia and globally. Both programs are also recognised to certify the Malaysian Govt MyHIJAU program and in the Infrastructure Sustainability Consortiums' IS rating tool. Global GreenTag International is a globally relevant Environmental Product Declaration (EPD) Program Operator with Green Star, LEED and BREEAM compliant EPD reporting as part of our LCARate Certification program.